The Chinese government has admitted for the first time that so called ‘cancer villages’ exist, as decades of pollution take their toll on the health of Chinese citizens. For years environmental campaigners in China have said that cancer rates in villages near factories and polluted rivers are far higher than they should be. Now China’s Environment Ministry has admitted their existence and has called for greater transparency on environmental issues. “In recent years, toxic and hazardous chemical pollution has caused many environmental disasters, cutting off drinking water supplies, and even leading to severe health and social problems such as ‘cancer villages’,” the document says, which was published in the 12th five-year plan for tackling pollution. The plan also outlines a clampdown on the use of 58 types of toxic chemicals. Many chemicals are produced and consumed in China, which are banned in many developed nations. The document continues to warn that China is facing a grave situation in terms of chemical pollution control, including a lack of pollution risk control by enterprises, a lack of policies to stop the use of highly toxic and dangerous chemicals and insufficient pollution monitoring by the authorities, the state news agency Xinhua reported on Friday. "It's our hope that this announcement is quickly implemented and enforced - about half of China's rivers are not suitable for domestic use, and around 20% are deemed useless even for industrial purposes. 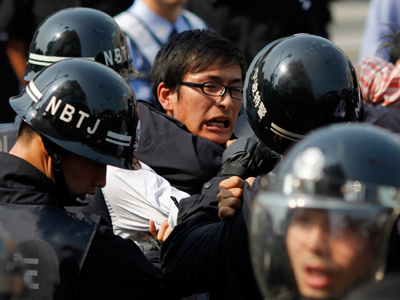 We simply cannot wait any longer,” said Greenpeace Toxic Campaigner Yixiu Wu. According to a long-term study completed in 2011 by the Chinese Ministry of Environment Protection and the Chinese Academy of Engineering, over 90% of the groundwater in cities was polluted to different degrees. 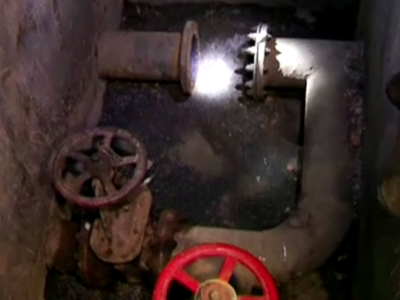 Of 118 major cities, 64 had seriously contaminated groundwater supplies. This is highly alarming, as 70% of China’s population relies on groundwater for their drinking water. 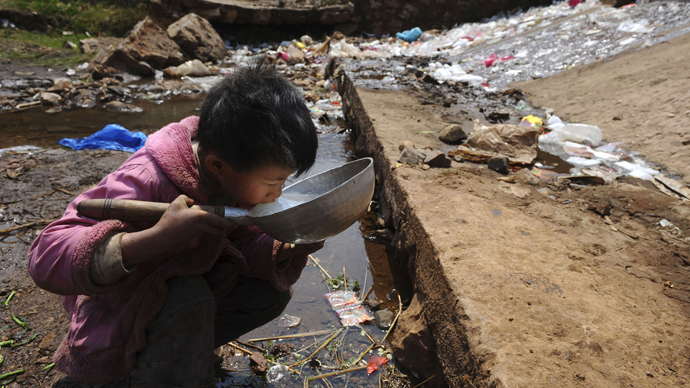 According to Greenpeace East Asia, 320 million people are without access to clean drinking water in China and 190 million people are drinking water severely contaminated with hazardous chemicals. A national environmental safety survey, carried out between 2005-2006, showed that out of the 7,555 chemical and petrochemical projects surveyed, 1,354 were located on the banks and shores of rivers, lakes and reservoirs; 2,489 were next to densely populated cities or areas; 535 were on major tributaries of key rivers; and 280 were on the upper reaches of protected drinking water-source regions. “Poor environmental regulations, weak enforcement and local corruption mean that factories can discharge their waste water directly into rivers and lakes”, according to Greenpeace East Asia. It is mainly water pollution, which is the cause of the high rates of cancer in areas where factories discharge chemicals into rivers, which have earned these settlements their name of ‘cancer villages’. Cancer is now China’s biggest killer, with an 80% rise in mortality from the disease in the last 30 years, according to data from the Chinese Ministry for Health. One of China’s leading environmentalists, Ma Jun, said that admitting there is a problem is major step in the right direction. “The recognition of the existence of problems is the very first step and the precondition for us to really start solving these problems. Before there was always a tendency to play down or even cover up the issues. If that continues then all these problems with air, water, soil and groundwater pollution and their health impact could drag on for a long, long time,” Jun told the Daily Telegraph. In 2009 an investigative journalist Deng Fei plotted some of the worst hit villages on a Google map, and has launched an online campaign inviting people to post photographs of polluted rivers near their homes. “If things continue like this, we will all be doomed. If the issue [of ground water pollution] is not properly solved, not only will it kill people but it will also drag down the entire healthcare system because of the number of cancer patients it causes,” he said. 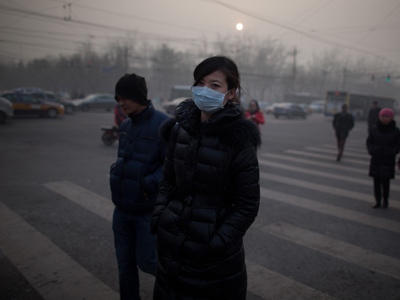 As well as water pollution, air pollution is also a major problem in China. Lung cancer rates continue to mushroom, because of air pollution as well as the number of people who smoke. 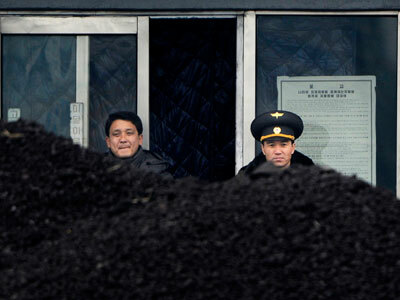 The main cause of Chinese air pollution is coal and particular its use in generating electricity. Coal supplies 80% of the country's electricity and 70% of its energy – as well as the lion's share of its air pollutants, according to figures published by Greenpeace East Asia. Since January Beijing and other major cities have been blanketed in a toxic smog, which has soared past levels considered dangerous by the World Health Organization. The smog sparked public outcry and has led to public debate about the cost of China’s rush for economic development at seemingly any price.